Forest Road 131, Pike -San Isabel National Forest, Lake County, Colorado: at coll. loc. Field Notes: Coll. No. 2010, 25 Jul 2018. 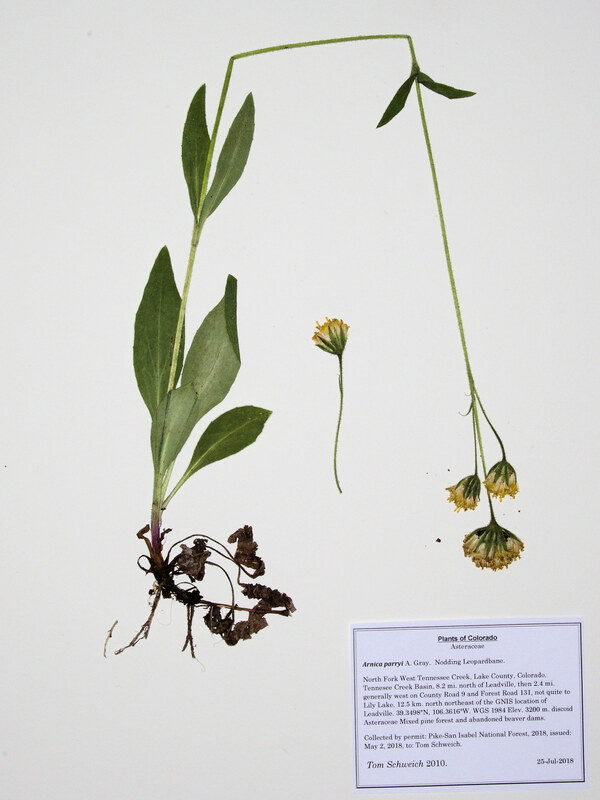 Other photos about Species - Asteraceae or Arnica parryi.